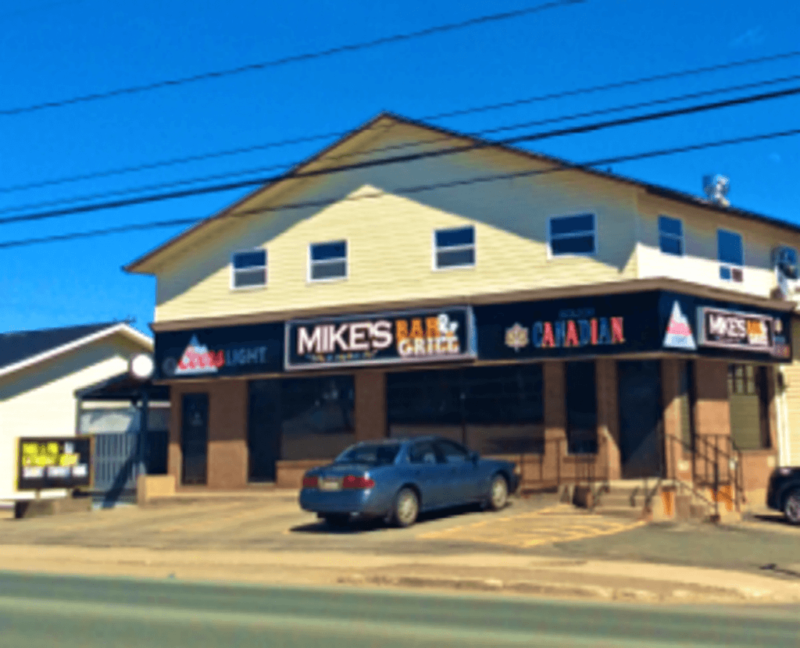 On Friday, February 15th, 2019 and Saturday, February 16th, 2019,Mike’s Bar and Grill, located at 484 King George Highway in Newcastle (Miramichi West) is celebrating it’s 20th Anniversary with a Party Weekend you don’t want to miss! There will be specials on Menu Items and Drinks and lots of great prizes to be won! Friday, February 15th, 2019 there will be live music by S.S.R. – Short Sweet Ride! 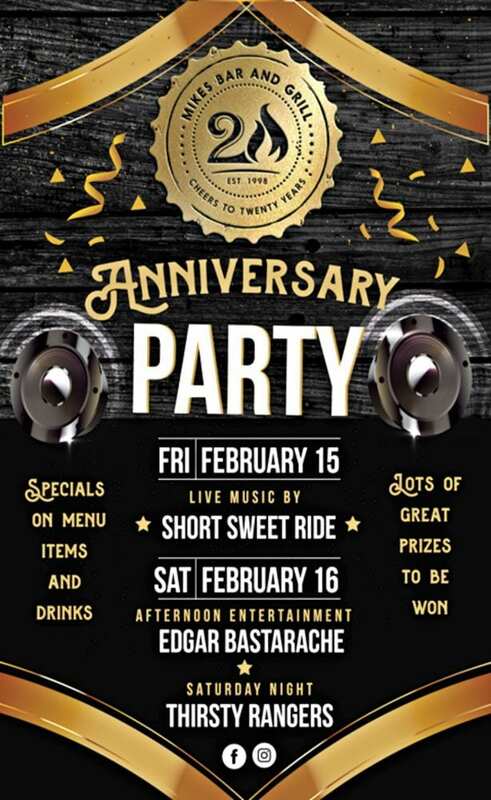 Saturday, February 16th, 2019, there will be afternoon entertainment by Edgar Bastarache and to conclude the celebration in the evening, there will entertainment by Thirsty Rangers!